Liston College is Catholic secondary school for boy's aged 11 - 18, founded in the Edmund Rice tradition. We acknowledge and take responsibility for nurturing and celebrating our Catholic identity and sharing the intellectual and cultural traditions of our Catholic faith. We acknowledge the complexity of the modern world and therefore we seek ways to create a Catholic identity that is meaningful within the modern world . 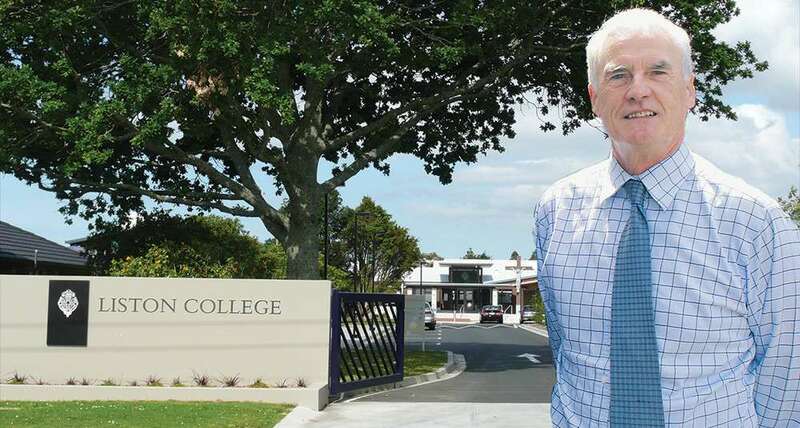 Established in 1974, Liston College is in the heart of West Auckland a diverse, multi-cultural and inclusive community. We are a Catholic boys’ school . At Liston, we are concerned with educating the whole person and this is reflected in our vision statement. We aim to have our students leave us as young men of Catholic character, who will influence and contribute positively to their families, their communities and their nation. We are justifiably proud of our academic results as seen in our NCEA results. As well as the importance we place on this, we believe that a good school is about much more than academic success alone. Our students enjoy and excel in a wonderful variety of sporting and cultural activities outside the classroom. Students at Liston benefit from outstanding pastoral care and guidance offered by our committed teachers and dedicated support staff. I am proud of our school, the personal and professional commitment of our staff, and the school community’s extraordinary dedication to ensure our students are supported to learn and achieve.